We are excited to offer our first podcast composed entirely of student voices. This episode is a conversation between three young men who are all current PFS diploma candidates. This is a fun and profound episode. 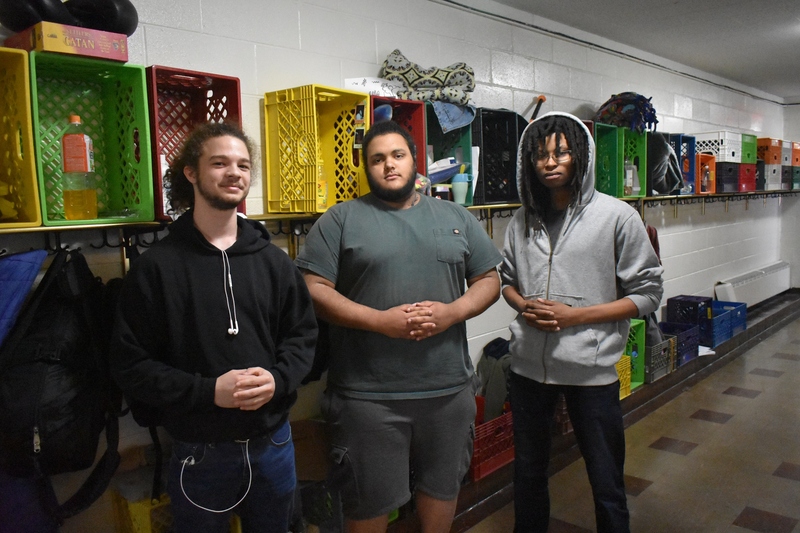 Preyton, Noah, and Ian discuss a wide range of topics including race dynamics at Philly Free School and in the world, the differences they see between democratic-free school students and their conventional school peers, the role of older students, Garfield, and more. Enjoy! DISCLAIMER: This podcast contains some profane language. Those of us involved with producing this episode have chosen to publish it unedited. We believe it is valuable and beautiful to hear the way this group of friends speaks openly with each other. Applying a filter would muddle their voices. Listener discretion is advised. Last year we had over one hundred more cases between the start of school and the end of October as compared to the 2018-2019 school year. There were more students enrolled last year, so that may account for some of the year-over-year differences in the JC caseload, but staff also came into this school year looking to approach JC in a different way. We collectively decided we weren’t going to write up every rule violation; we would first remind people of the rules and if the behavior persisted, then we would write it up. This attitude greatly reduced the “us versus them” attitude that many new students arrive with. It reduced the anxiety some people feel about the constant threat of being “written-up”. 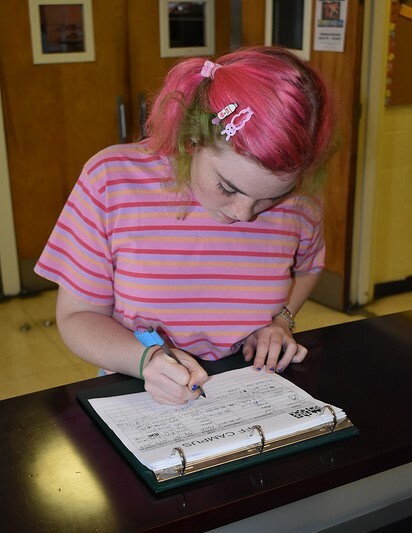 It also encouraged School Meeting (SM) members to support each other with reminders about following the rules instead of relying solely on write-ups. 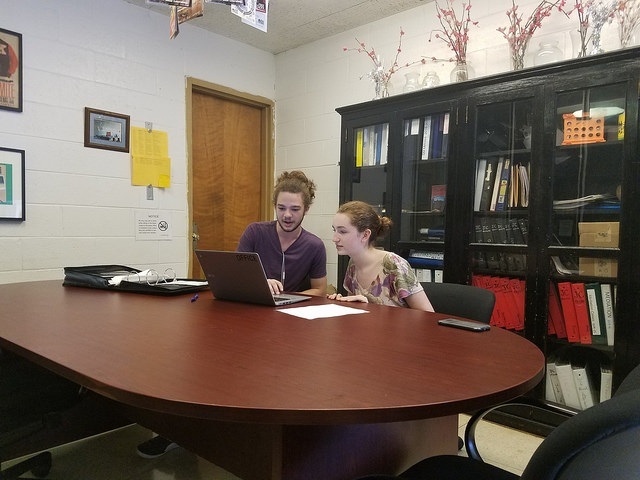 Since JC has been dealing with a smaller caseload this school year (usually about 5 cases each day), members have had the time to give each case a thorough hearing. Last year there were days when we had a backlog of cases, sometimes 20+ in a day, and JC could go from 11:00 AM until 2:00 PM or later. It would feel completely overwhelming and it was difficult to give each case the time and energy they deserved. But now the members of JC have been more relaxed and calm since they no longer face the threat of a neverending JC session. This has led to a calmer experience for everyone involved. When I reflected on these changes, it reminded me of an experiment Lawrence Cohen discussed in his book Playful Parenting regarding baby chickens and tonic immobilization, or playing dead. When chicks are frightened they play dead for a relatively short amount of time. When more scared chicks are added to the scenario, the length of time they play dead increases dramatically. However, if you add a calm chick into the mix, it greatly reduces the time they stay immobilized. This year JC members became the calm chickens, allowing the Judicial Committee to move forward with ease since everyone feels more comfortable. This calm approach has impacted JC in a huge way. We often talk at open houses and outreach events about JC being supportive and not punitive, but prior to this school year that wasn’t necessarily how things were playing out. We would often get bogged down examining why something happened rather than dealing with the rule violation. At times like these, JC would end up grinding everyone’s gears. This year, JC is focused on rules. We leave discussions and questions about an individual’s motivations to a time when there isn’t an uneven power dynamic. The Judicial Committee doesn’t attempt to figure out the reason why something happened, it simply enforces the rules. We’ve long had an issue with SM members taking soda that belongs to the Outreach Committee, and it happened again this year. The JC was able to identify who was responsible. Instead of attempting to understand the motivation for the theft (probably thirst and lack of money,) we simply charged the defendant with the rule violation and gave an appropriate sentence. (In this case, they had to replace the soda, make a sign notifying people of the rule, and act like soda police for the rest of the week). JC judged their actions, but didn’t make a judgement on them as a person. We didn't say they were bad. We charged them with misuse of school property, took their plea (guilty), and gave them a sentence. Our handling of this case actually encouraged another person to write themselves up for taking a soda earlier in the year, even though no one was aware of it. Since the school community is seeing fewer JC cases written up, and we’ve made JC more efficient by focusing on rules, JC feels like less of a battle. When people aren’t in battle mode they’re more relaxed and are able to come up with creative solutions to the problems that arise. When people feel comfortable with the processes of the school they’re more likely to become engaged and trust the framework that PFS provides for problem-solving. And since SM members are more likely to feel that it's their actions rather than themselves being judged in JC, they’re more likely to hold themselves accountable. We’ve essentially strengthened our community by writing up fewer cases and withholding judgment, and staff are modeling the radical trust necessary for a school like PFS to work.